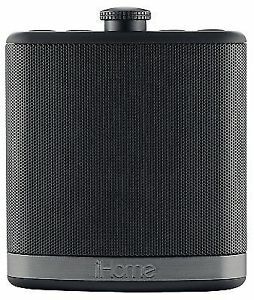 The iHome Johnny wireless stereo speaker is next level portable audio. This flask shaped stereo provides hours of power! Provided is a custom leather-style case with bottle opener carabiner clip and mesh front that enables you to pump audio on the move. 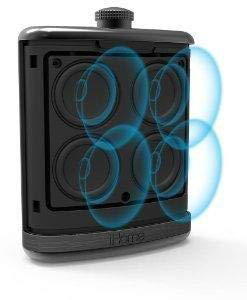 The iBT12 is a Bluetooth-enabled wireless speaker system with built-in speakerphone capability. Stream wireless digital audio via Bluetooth from your iPhone, iPad, Android, Windows–most Bluetooth devices. Up to 8 hours playing time when fully charged. Built-in mic, digital voice echo cancellation and answer and end controls make speakerphone use a pleasure. Aux-in jack for playing almost any audio device and a provided custom carrying case with bottle opener carabiner clip make this sound stereo unique and a perfect gift for anyone!